I joined the 365 Project on 3 August 2013. I am not an expert photographer. My camera is a cheap and very pink Nikon Coolpix, picked up in Singapore after dropping my Canon in the Indian Ocean on a visit to Margaret River on Australia Day. I thought it would be fun to take part as I have to take a new photo every day. I took 9000 photos on my RTW trip, I think I can manage one photo a day. 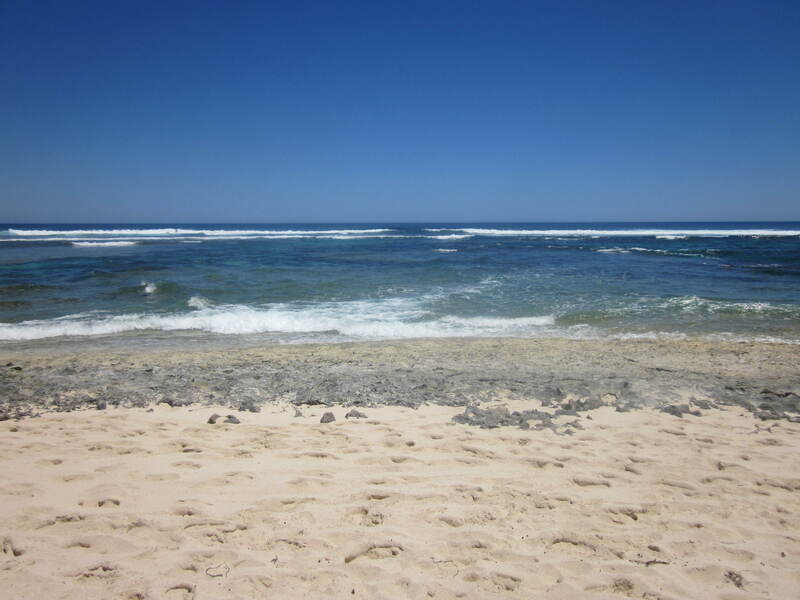 This is the beach where I dropped my treasured Canon into the ocean. I have found that not working outside the home and being alone most of the day, it can be difficult to get motivated to go outside for any other reason than the need to buy food. The 365 Project will encourage me commit to going out for a walk and taking at least one photo a day. I am also noticing more about my environment, inside the home as well as outside. I am connecting more with the community by walking around my neighbourhood and learning how to use my camera, by experimenting with all the settings not just the auto setting. I may even use the SLR camera that my husband has, neither of us know how to use it properly. And by uploading them to the 365 Project, I am giving back in some small way by sharing my pictures with the world. I hadn’t realised this until I starting writing this post, the project is enabling me to follow the five steps to wellbeing. 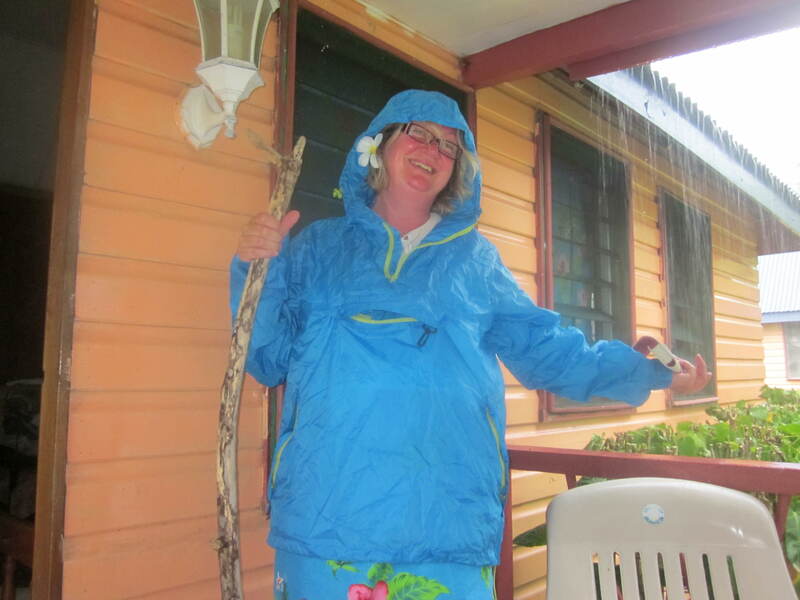 Fiji in the rain and still very happy. I have a 365 project of my own. In one years time I plan to have a house free of clutter. A house that I would feel confident to sell to fund the long term travelling that I want to do. I have made headway: last week I took about 6 coats and jackets that were cluttering up the lobby to a charity shop. Books have been sold or donated. A bag of shoes that I have not worn for over 2 years, banished to the charity shop. 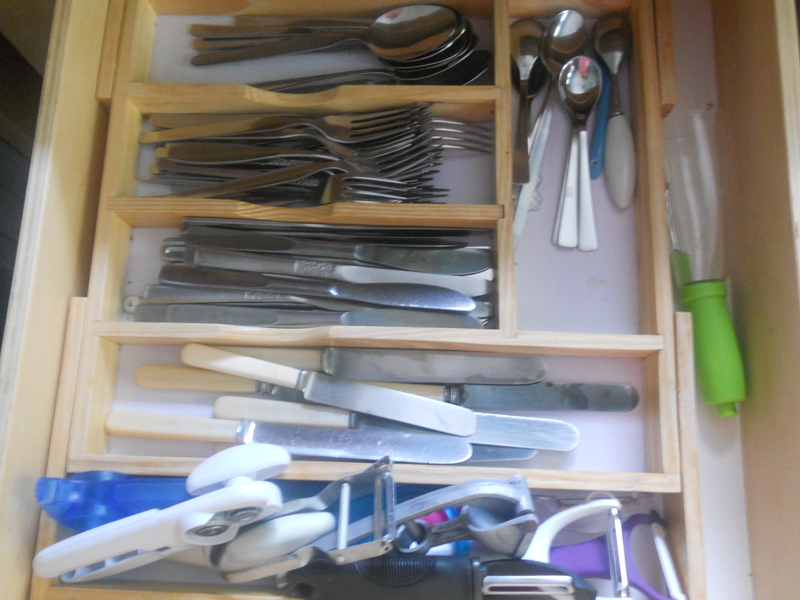 My son and I spent an hour tidying kitchen drawers. As the only minimalist in the family he was a good person to ask for help. What is this for? When did you last use it? Why have you got so many of these? This can opener doesn’t work. When did you last use a cheese slicer? I had to justify everything I kept. Including these. I have set up another blog and Facebook Page, Retro Joy, to sell some of the clothes that my mother asked me to sell before she died. While much of her stuff has been donated I have had two stalls at local community events, including The Bearwood Shuffle, and plan a yard sale. 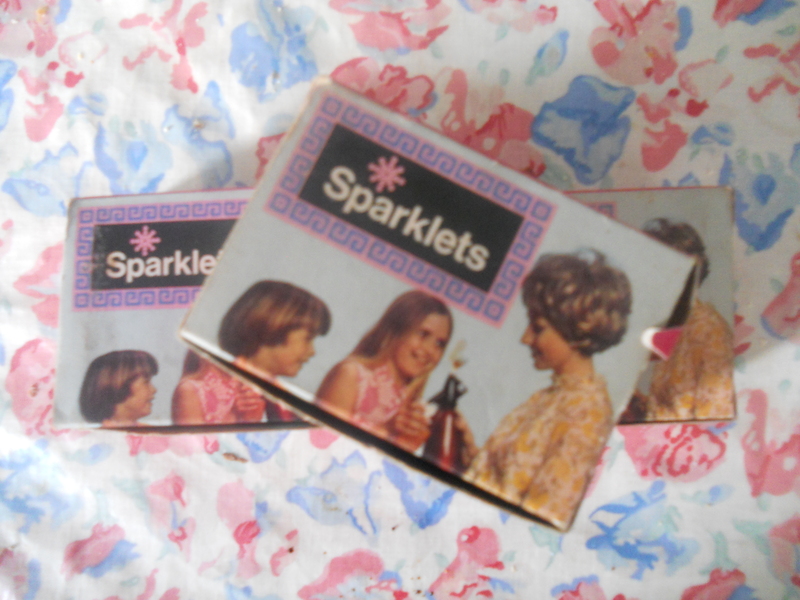 I could justify keeping the Sparklets as I know that someone out there will want them and I can sell them via Retro Joy. 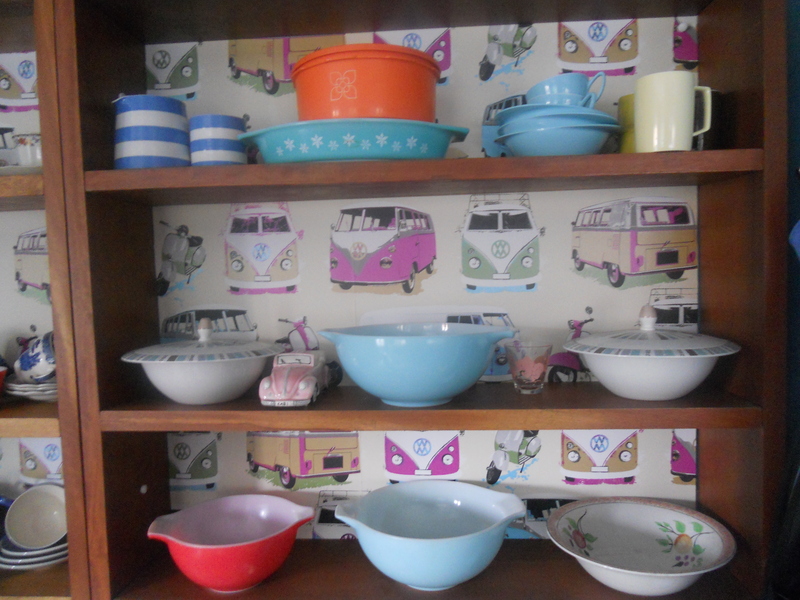 Her vast Tupperware and Pyrex collection will join them at some point too. 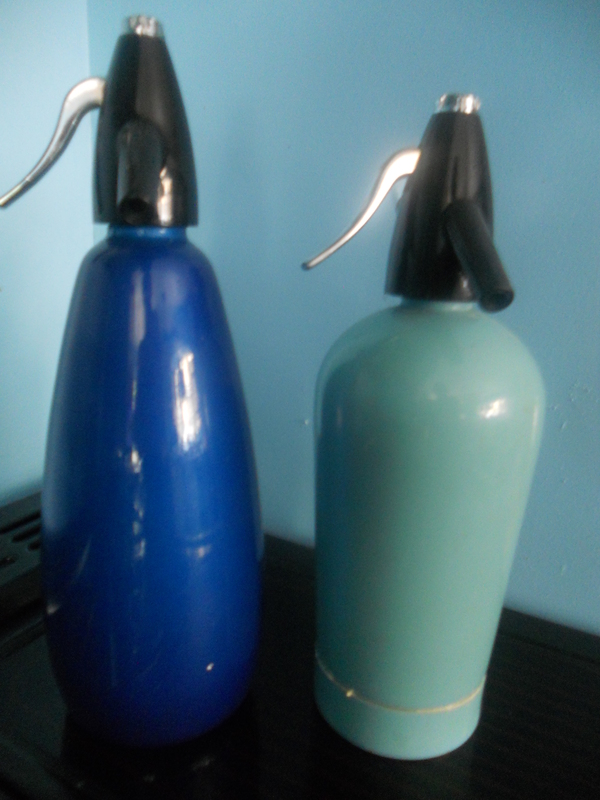 In the meantime I am enjoying using them and seeing them in my kitchen. 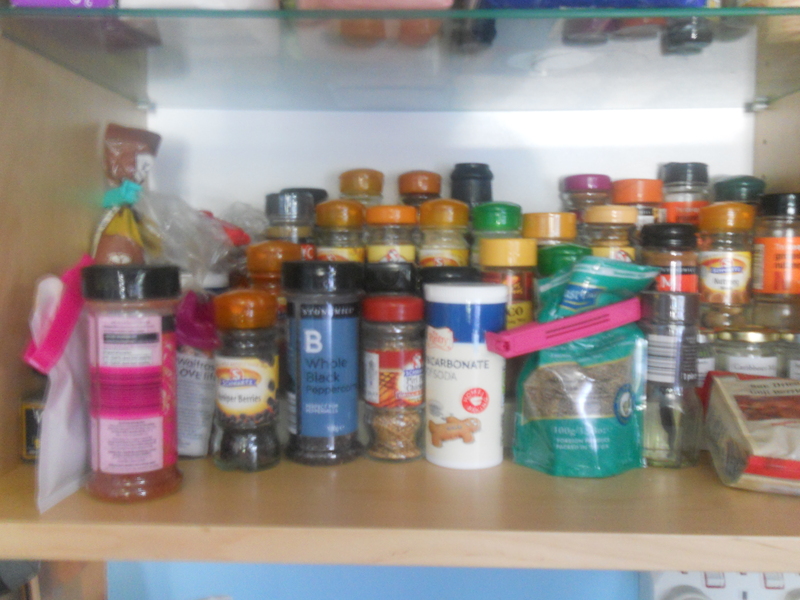 Afterwards, when I saw how much tidier and organised it looked it struck me that to track my progress it would have been a good idea to have a ‘before’ picture. Whenever I feel overwhelmed by the task ahead, and it is a very big task, as it is not just the stuff that I have inherited from mom that is cluttering the house. I am a hoarder of books. My husband is a hoarder collector of vinyl. I like kitchen gadgets. I won’t throw anything away if it still works or might come in useful. By photographing the house as it is now I will have a record of my progress. This will motivate me when it all seems too much. Going public about the process, will drive me forward. I hope my followers will check in to see how I am getting on with the task. If any of you have any tips, it would be great if you could share them with me. There will be some difficult decisions to make about what to keep, and why. Photos to sift through. Letters from friends no longer with us. It is a journey and I am travelling with a destination in mind. I have set the target and I have something to aim for. Let the adventure begin. 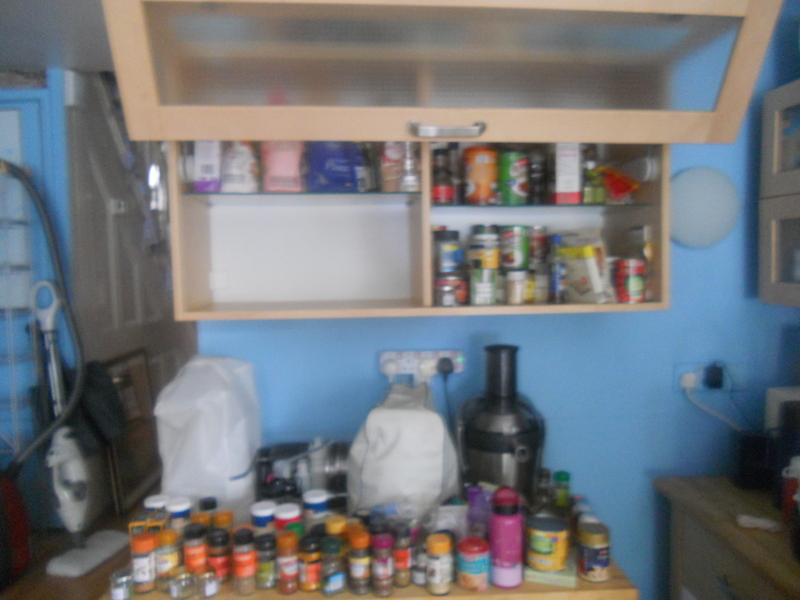 This entry was posted in Health and Wellbeing, Home Thoughts, Life, Travel, Vintage and tagged Australia, Facebook, Indian Ocean, Login, Pyrex, Singapore, Tupperware, Twitter by Travelling Coral. Bookmark the permalink. When you get to the letters and photos I suggest organizing them into scrapbooks. You could even keep an album (online) of the things that you are connected to but had to give away.Here’s another tip: start in the kitchen. Do not begin in another room until the kitchen is done. Then move on to the living room. Each room should feature one thing that you treasure…something with a story.